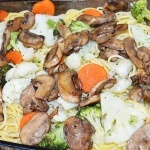 A quick weeknight meal, this vegetable version of Tetrazzini features broccoli, cauliflower, carrots and mushrooms with a velvety parmesan white sauce over quinoa pasta! 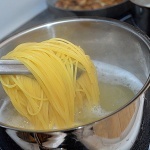 Break spaghetti into halves or thirds and cook to box instructions. 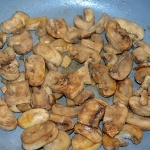 Saute mushrooms in 1 Tbl of vegetable oil until browned and tender. Set aside. Microwave vegetables in the bag according to instructions. Meanwhile, in a medium saucepan, melt 2 Tbl of margarine and add the flour. 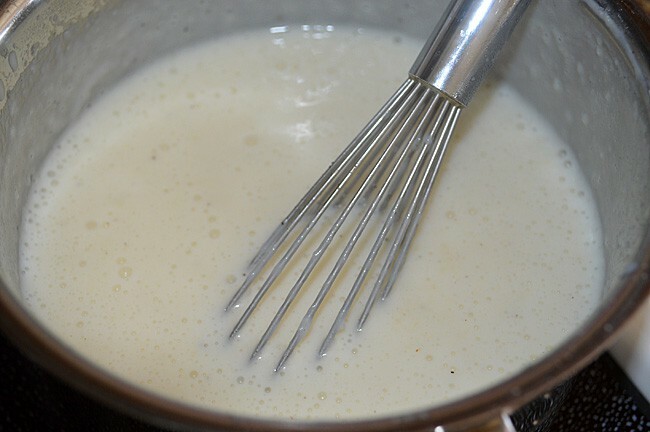 Whisk until smooth and gradually add the milk, whisking constantly. 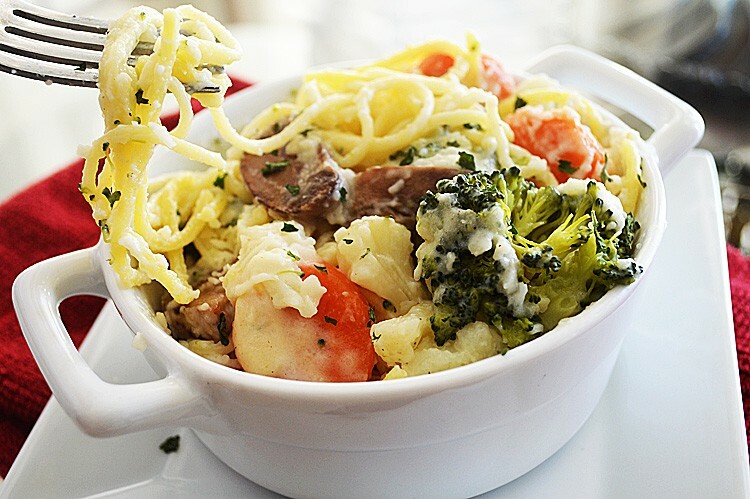 Continue to cook until thickened and add the parmesan cheese, salt and pepper. 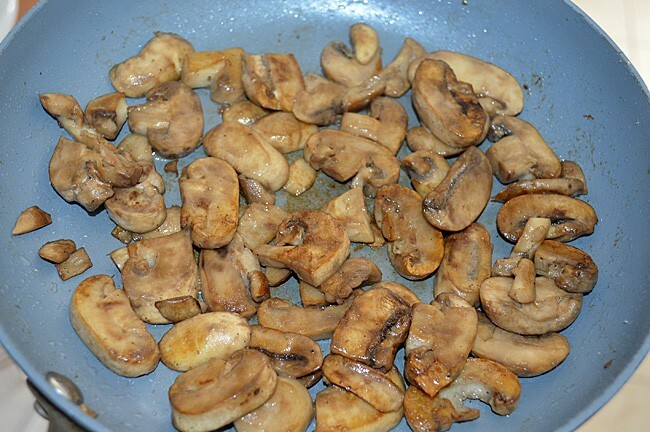 Spray a 9x13 pan with cooking spray. 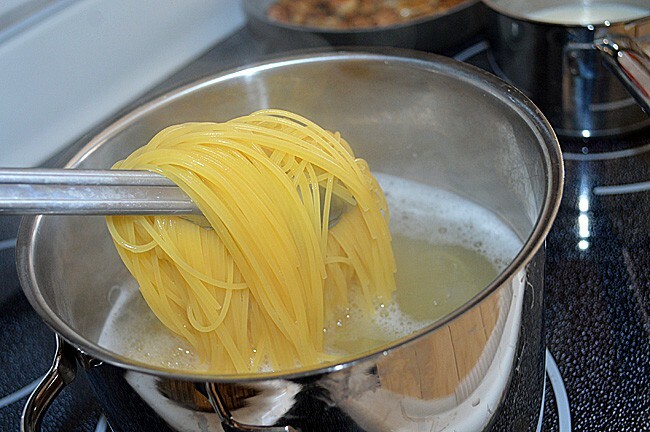 Add the cooked spaghetti. 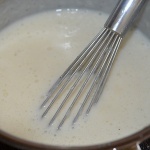 A little water left from rinsing will aid in creating the sauce. 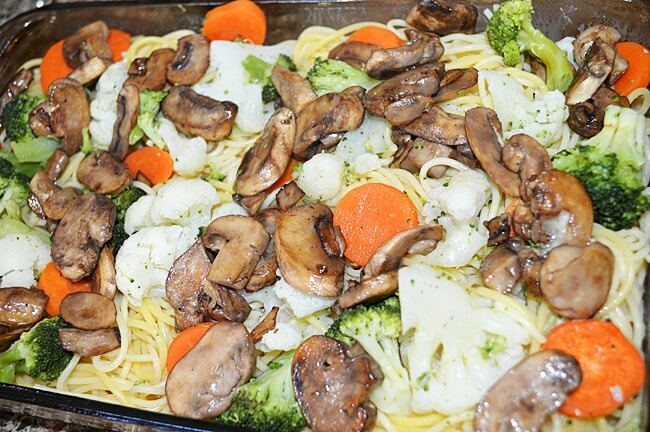 Top with the mixed vegetables, mushrooms and sauce. 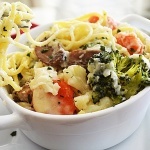 Sprinkle with additional 2 Tbl of Parmesan and bake for 15-20 minutes or until heated through. Yum! This looks great! I’m always looking for an easy weeknight meal. Which recipe plugin do you use? Mine isn’t working and I need a new one!